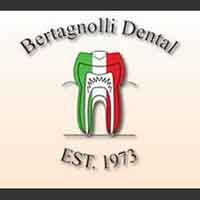 Bertagnolli Dental is a compassionate dental office who understands your needs. If you are facing dentures, it can be frightening. Our primary goal is to serve our patients and their needs in a comfortable and welcoming atmosphere. Dentures are an option for tooth replacement of all of your natural teeth. Creating dentures require several different procedures to make sure that your denture will fit the shape of your mouth and will provide the necessary support for your face. Dentures can help with day-to-day functions, such as eating and speaking, as well as restore your confidence by improving your appearance and smile. With our affordable prices, it is easy to obtain the perfect smile. Schedule your appointment today.